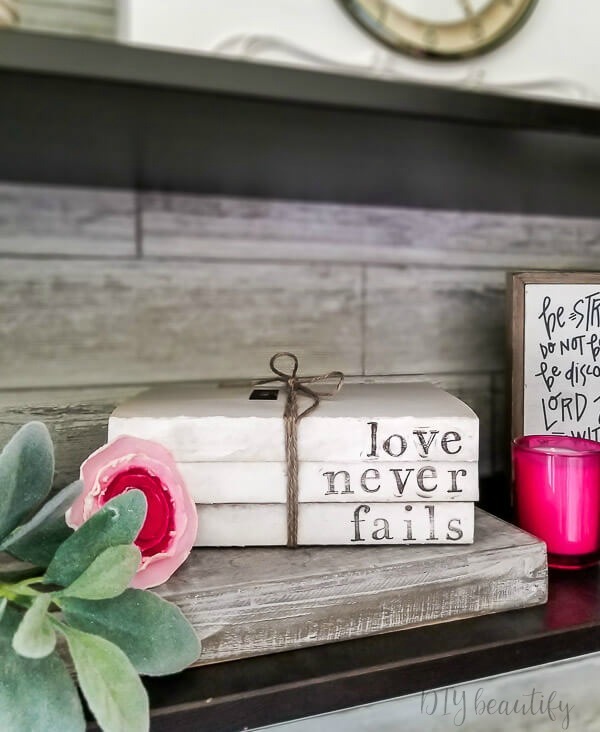 This project is a great way to use supplies you likely already have, and turn a stack of books into personalized decor for your home! 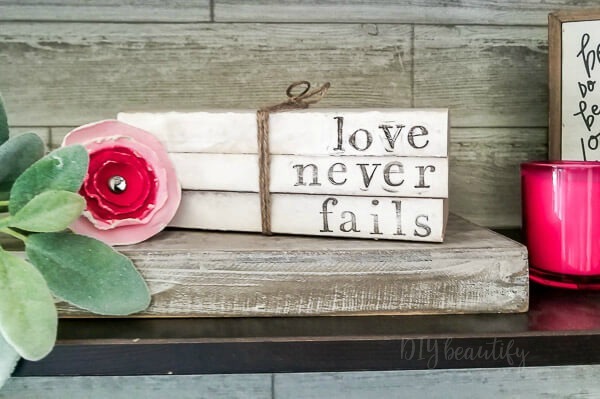 A great project for Valentine's Day! 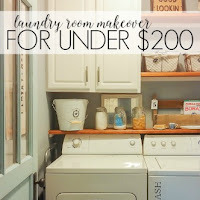 Hi friends, I can't wait to share this easy DIY with you! It's so fast and simple, and a great way to use items you probably already have in your stash! Full disclosure...this is not my brainchild! 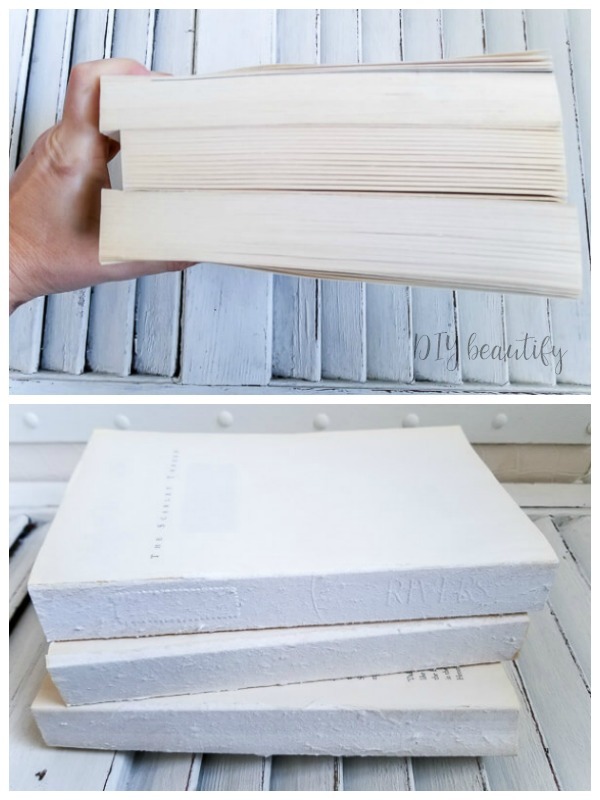 I've seen these deconstructed books around the internet for a long time, and I'm sure you have too! And I know some are even making and selling them, and I don't want to take away from them at all! 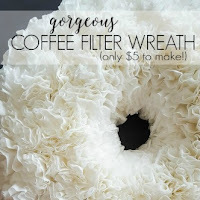 If you don't already have all the supplies for this project on hand, it's probably easier (and honestly cheaper) to buy from a seller on Etsy or Instagram. However, if you have the supplies on this list, then carry on my friend, carry on. I had purchased some books from Goodwill last summer, for .$99 or less and these are the books I used. Make sure the books you choose are all roughly the same size. I prefer to use paperbacks for this project. Before you go all gangsta on your books, take a look at the pages. Make sure they all match or at least look good together. Some books have really dark pages, others have thick, lighter pages. Gently peel the covers from the books you are using. I also removed a few of the front pages until just the title was showing. You may need to very gently peel a layer or two from the book spine so you don't see words (see below). 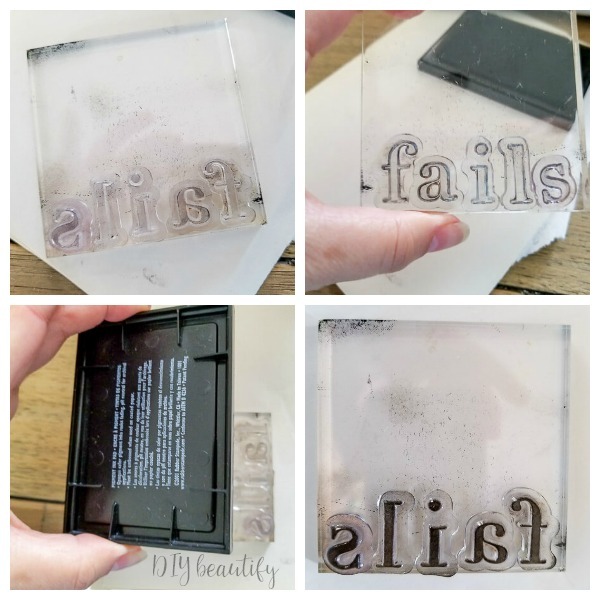 The nice thing about using clear stamps with a clear block is that you can see exactly how your word will look before you stamp! Keep in mind that you will be adding the letters backwards and from right to left! Be sure to check the front to make sure it's the right way before adding ink! 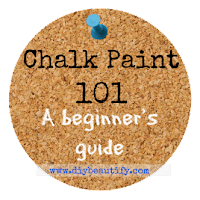 Stamping tips: I hadn't stamped in a few years, and I had forgotten all about this tip, but it's a good one! 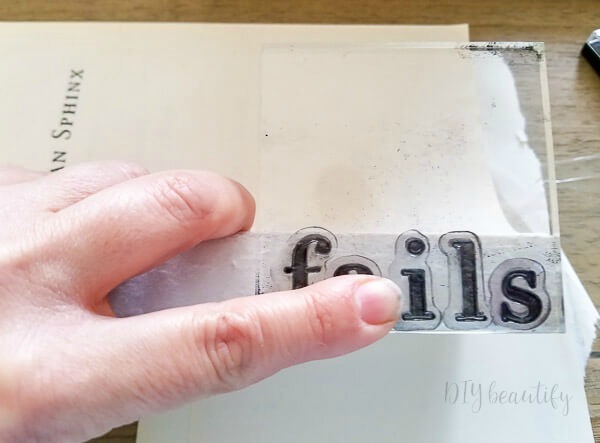 Rather than taking your stamping block to the ink pad and pushing your letters into the ink, lightly tap the ink pad onto your stamps while they're laying flat! This not only prevents you from getting a bunch of ink all over the block, it gives a nice, even layer of ink to each letter! Practice on a piece of paper a couple times to make sure you like the spacing of the letters and get a feel for how much pressure is needed! Before I show you how to stamp your book spine, let's talk words! I chose to stamp one word onto each of 3 books. 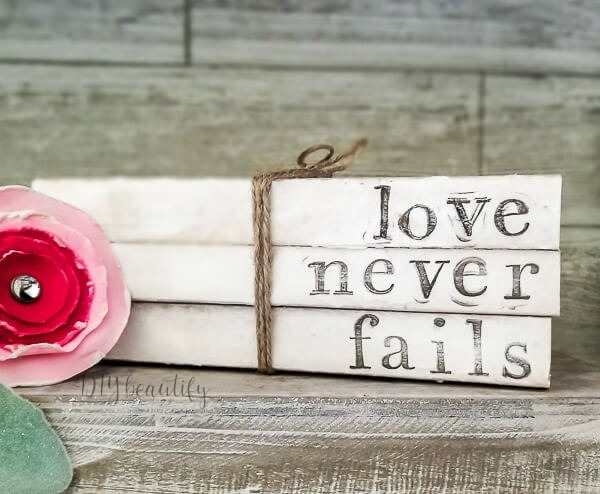 'Love Never Fails' are words from a verse that we used in our wedding. It's in the Bible. It's important, it's something I want/need to remember!!! Words are powerful! 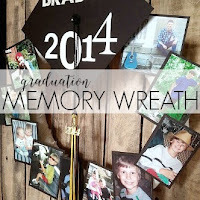 Other ideas would be unique dates (like your kids birthdays, the date of your wedding, etc), your kiddos names, a family quote, places you've been on vacation or places you want to visit...you get the idea! 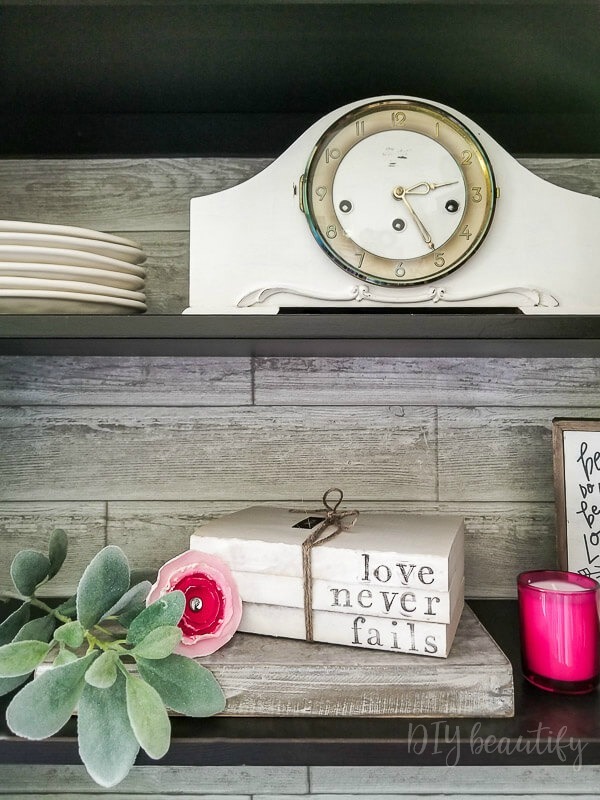 This is a great way to create something meaningful for your home because you get to personalize it! I like to keep a package of baby wipes in my office; they're great for so many things! And cleaning stamps is something they're perfect for! 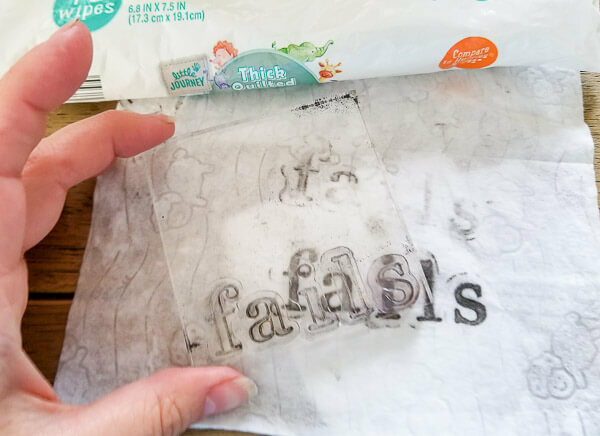 Have a couple wipes nearby and when you're done stamping your book, press the stamp into the baby wipe a couple times to clean all the ink off! 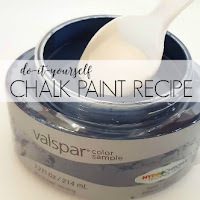 Great for cleaning your hands and the stamp block too! 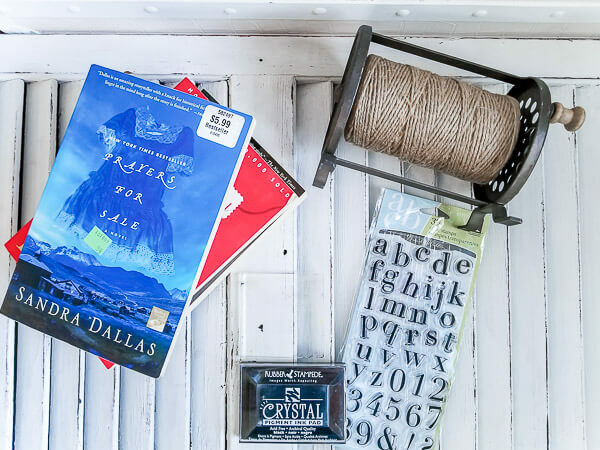 To finish off your deconstructed stack of books, you can wrap a long length of jute cord several times around the stack to keep it together...or you can just lay them on top of each other, however you like! 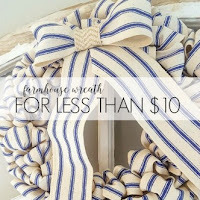 They make a great little statement piece wherever you need one! 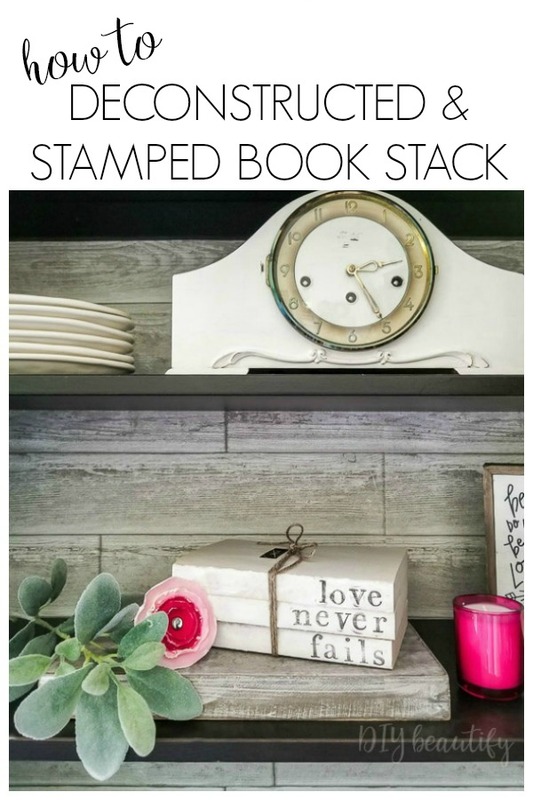 I'm displaying my stamped book stack on my office shelves for now, but I love that they're neutral, so they'll work in any room! 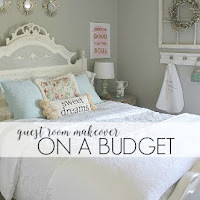 They do look pretty near my painted mantle clock! Perfection is highly over-rated, and you can see that my stamping wasn't perfect! However, I like it! Who knew a deconstructed book could look so beautiful? Now I want to make more!!! Please feel free to save this for future reference. Later this week I'll be sharing some of my favorite finds for Valentine's day! I'm off to take Millie to school...obedience school 🐶🐾💩😍...cause this little pooper needs to learn to COME when she's called!! Wish me luck! 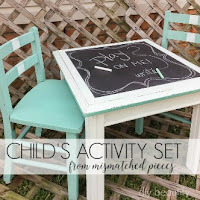 Cindy I love this idea. I can just hear my son saying "what is the purpose of this?" in the back. Haha! Sometimes we do things because they are simply beautiful! That is a super cute idea. I must be living in a black hole. I've not seen these deconstructed books anywhere!! Yours are so beautiful.